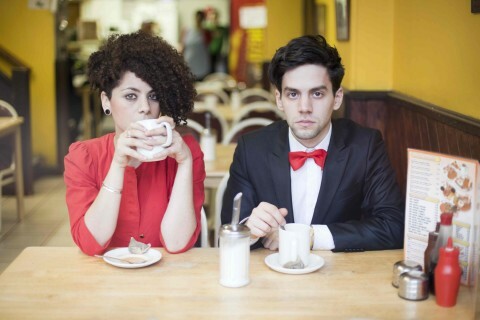 London's Peter & Kerry began as a impulsive side project. Both being solo artists, they became close friends through a year of record label activities and decided to collaborate. Even though neither one had done a full collaboration in the past, they wrote their first EP, 'Clothes, Friends, Photos' within just a few days. After it's release they have received press from blogs, magazines, and radio stations. I hope you enjoy my two favorites songs by Peter & Kerry, "The Shadows" and "Knees". Copyright © 2013 The Re-inspired. All Rights Reserved. Powered by Blogger.